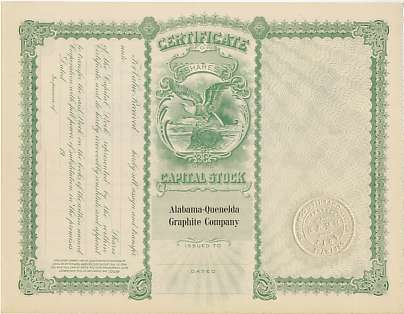 Unissued, unsigned, unfolded, "mint" stock certificate No. 52 from Alabama-Quenelda Graphite Company 1917. Reverse show below.